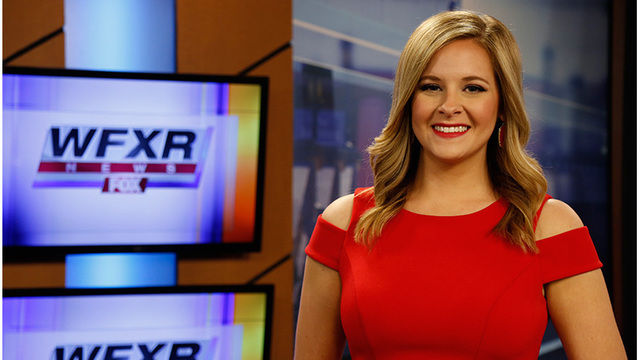 Stacey Spivey joined WFXR News Team as the 10 p.m. anchor in May 2017. Before moving to Roanoke, Stacey was a general assignment reporter/fill-in anchor for her hometown station in Little Rock, Arkansas. While at KATV (ABC) Channel 7 News, she covered President Donald Trump and Hillary Clinton's visits to Arkansas on the campaign trail, reported live from the Country Music Awards in Nashville, TN and reported on many stories that caught national and international attention like the state's plan to carry out 8 executions in 10 days, concealed carry becoming legal on Arkansas college campuses, and a road-rage incident that left a 3-year-old dead. She began her career at KETK (NBC) News in Tyler, TX. Stacey started as a reporter/multi-media journalist and quickly moved to the desk as a morning anchor/co-host. It was there she interviewed Senator Ted Cruz and covered everything from local politics to high school football games. Stacey earned a degree in Radio-Television at Arkansas State University in Jonesboro, AR. Go Redwolves! While there she was actively involved on campus as an ASU cheerleader and member of Chi Omega. When not chasing news, Stacey enjoys traveling, reading, sports, and spending time with her family. Stacey also has a love for animals, boy bands, and all things Disney. If you see Stacey out in the Roanoke Valley, don't hesitate to say hi! If you'd like to get in contact with her you can follow her on Facebook or Twitter @staceyspivey.